JA Book Keeping Services . 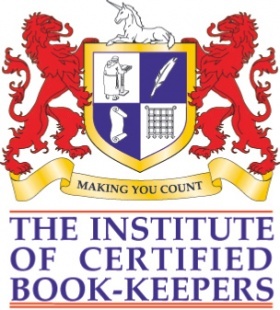 Registered address: JA Book Keeping Services, 12 Muircroft Terrace, Perth, Perthshire and Kinross, PH1 1EW. This policy (together with our terms and conditions and any other documents referred to) sets out the basis on which we will process personal data we collect from you, or that you provide to us, as a result of your use of our website or services. JA Book Keeping Services identify as both Controllers and Processors of your personal data. You are responsible for providing JA Book Keeping Services with accurate and up-to-date personal information. You are also responsible to maintain and update the information to keep it accurate and up-to-date. If you would like to transfer your personal information to a comparative service provider or have any questions about our practices and your rights, please contact us on 07754 013533 or ja.bks@blueyonder.co.uk. If you have any questions about how we secure, store or retain your data, please contact us on ja.bks@blueyonder.co.uk. This website and services are not intended for, nor designed to attract, individuals under the age of 18. JA Book Keeping Services does not knowingly collect personally identifiable information from any person under the age of 18. If you feel that JA Book Keeping Services has collected and/or received personal data from individuals under the age of 18, please contact us. JA Book Keeping Services is regulated by the Information Commissioner's Office (ICO), an independent authority which uphold information rights in the public interest and data privacy for individuals. If you feel JA Book Keeping Services has inappropriately handled your data, we would recommend that you contact us on 07754 013533 or by email: ja.bks@blueyonder.co.uk to ensure that all relevant legal guidelines have been followed.